Posted on 25, May 2016 by EuropaWire PR Editors | This entry was posted in Automotive, Netherlands, Transportation & Logistics, Travel and tagged buses w, VDL Bus & Coach, VDL Citea LLE. Bookmark the permalink. Valkenswaard, the Netherlands, 25-May-2016 — /EuropaWire/ — VDL Bus & Coach introduces no fewer than three new length variants of the VDL Citea LLE. They are the Citea LLE-99 with a length of 9.9 metres, the Citea LLE-107 with a length of 10.7 metres and the Citea LLE-127 with a length of 12.7 metres. The VDL Citea is the lightweight champion within the VDL Bus & Coach product range. The kerb weight of the 12-metre variant is at least two tonnes less than that of similar buses. This low kerb weight results in very favourable fuel consumption, greatly reducing emissions of CO2, fine particulates and NOx. 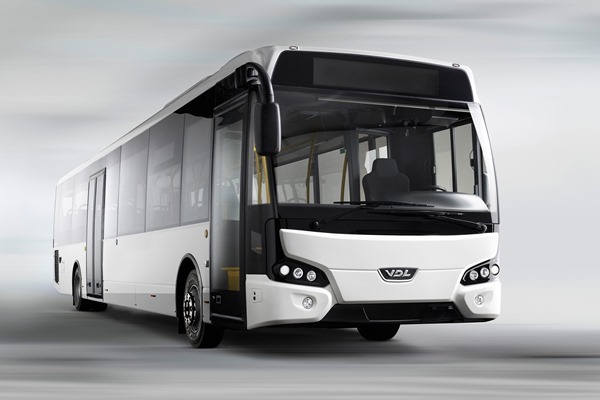 With the introduction of the new length variants, VDL Bus & Coach expands the successful formula of the Citea LLE to a wider range of applications. The LLE-99, LLE-107 and LLE-127 are built using the same innovative lightweight concept as the 12-metre version. The low kerb weight also results in lower maintenance costs. The exceptionally low operating costs attributable to the VDL Citea LLE provide more-than-excellent Profit of Ownership.